Desarrollado en 1939 en la Oficina Especial de Diseño de la Planta de Kirov en Leningrado, bajo las órdenes de J. Kotin y sobre la base de los vehículos KV y SMK. Ningún prototipo se construyó, el vehículo nunca entró en servicio. Despite having the same 203mm B-4 gun from its predecessors, The gun characteristics have been upgraded greatly, as it has larger gun traverse, shorter reload time and a much faster aim time, also had a big jump in ammunition capacity to 40 shells up from 12 from the S-51 and 16 from the SU-14. However, is much less mobile than its predecessors, and plays at a higher tier. Stock gun can provide alternate playstyle due to its incredible rate of fire. The 212A plays much like its predecessors with bonuses to various stats, most notably reload time and ammo capacity. Just play the way you did its predecessors and you will do fine. It is fairly mobile for its size as well, so relocating should not be difficult. Note that gun traverse range is still horrible. Additionally, the stock gun on this SPG can actually provide for some decent damage output due to its high RoF. While the 203mm is better in many ways, the 152mm can certainly provide some amusing opportunities and is certain to throw many people off-guard. Ammunition for the guns were 47 artillery rounds for the BR-2 and 3000 rounds for the machine-guns. 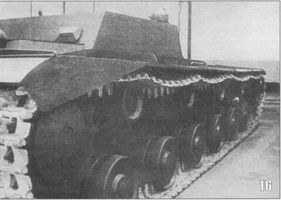 By comparison, the KV-2 heavy tank came with a 36 tank shells and 3,087 machine gun rounds.